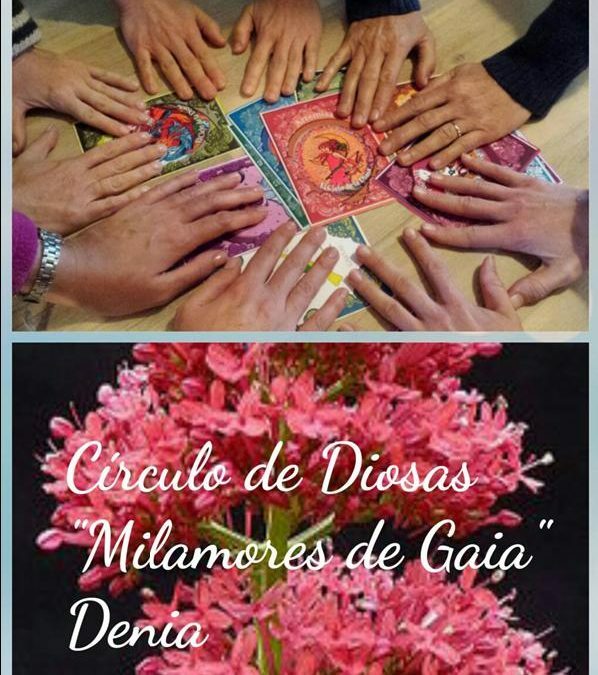 Lourdes, her ambassador, participated in the workshop "The Cycle of the Goddess" last October in Toledo-Layos, we shared a wonderful day, in the framework of the "Ocean of Peace" center. Our hearts meditated, danced, laughed, talked, and opened space for the manifestation of our Goddesses. Goddesses who encourage our feet to walk new paths, paths that will offer us new crossroads and new experiences, with the confidence that our Goddesses empower us. To desire from the depths of our heart, that each of the women who participate in this circle, germinate like the wonderful seed that they are, filling their lives with meaning. "The creation of this circle is born out of a common desire to overcome and transform each of the women who make it up. The choice of the name of Gaia, the Mother Earth goddess, attends to the acceptance of our responsibility to grow and take action in our lives and consequently in our own community. The name of Milamores corresponds to the beautiful plant that grows in the Natural Park of Montgó, natural landscape so emblematic of Denia where we reside. "